I love anything from LUSH but I have a mixed feeling about this product to be honest. Before I start talking about this product. I would like to share with you all globetrotter LUSH fans, that LUSH in Japan is crazy cheap! The Cheapest in Asia I am telling you! 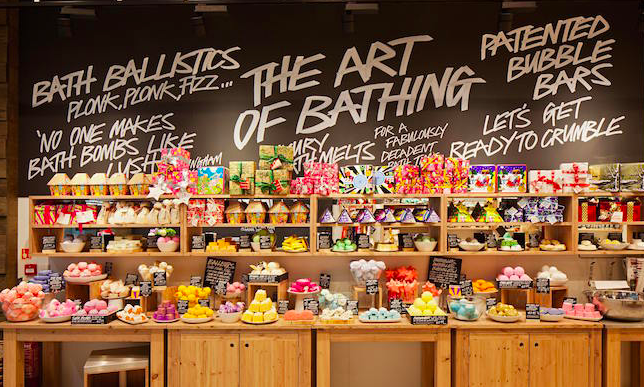 Only about 15% more than the pricing in the motherland of LUSH – The United Kingdom! Back to the product! 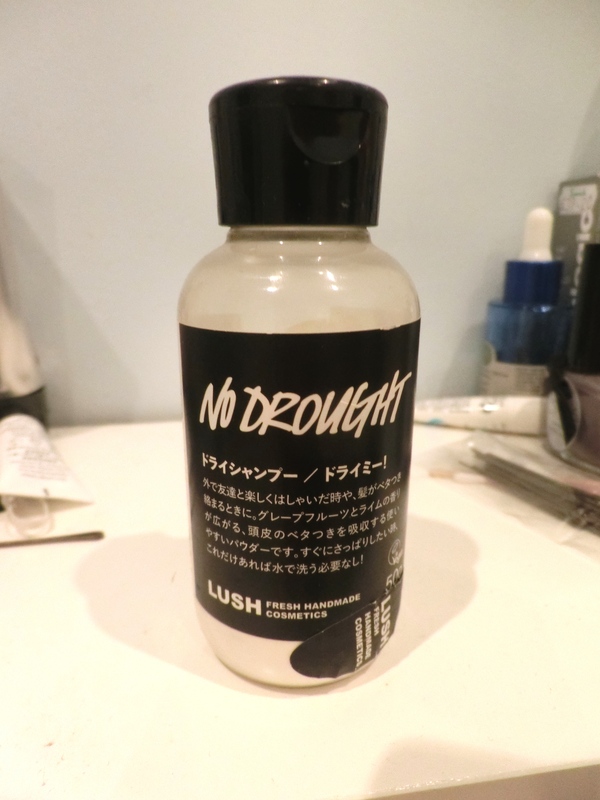 So I got this dry shampoo “No Drought” from LUSH Ginza in Tokyo ¥1,250. When I tried it in store, I thought the smell of it is so refreshing and it just smell citrusy! Really like it! The texture is just powder, nothing special about it. It is made with cornflour, grapefruit oil and lime oil. Thus the citrusy and refreshing scent. So what’s “the mixed feeling” about? It is the packaging that frustrates me. I know that LUSH probably don’t have a container especially made for powder product, but please! 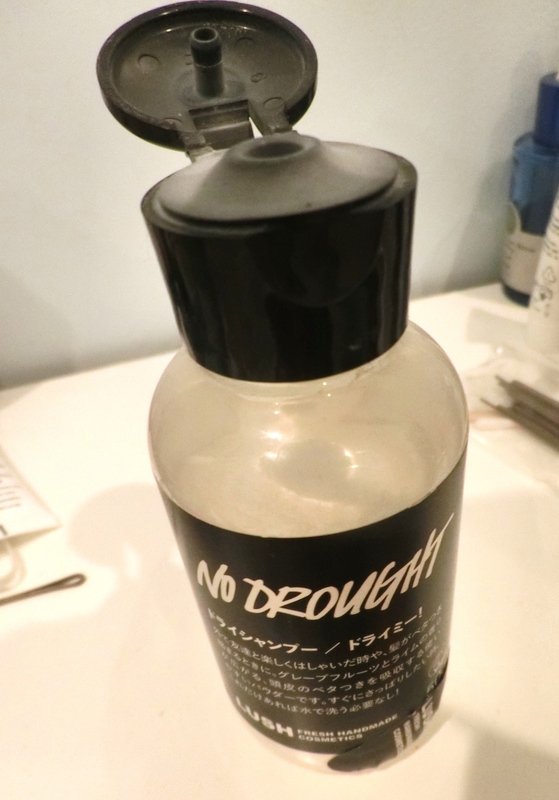 Make a special designed bottle for this lovely dry shampoo! They are just using a regular shampoo bottle here, which makes application so difficult. If you just tap the powder out of the bottle over your head, the white powder will slide down and fell onto your shoulder. And if you happens to be wearing black (which I did) you can’t get the powder off you and eventually you will have to change your outfit again before you can be out the door. The product itself is lovely though, it has a really nice refreshing scent to it. As if you have washed your hair and smells clean. : ) Does the job very well with natural ingredient. I would give this a 5 star if the packaging is done right. After a few months using it, I have learnt a few tricks to apply this without the mess. There are two method. 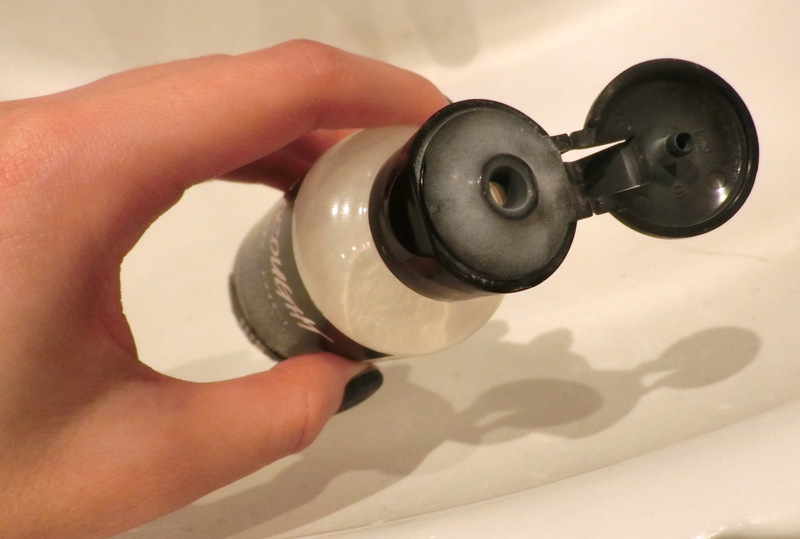 Tilt your head upside down toward your bath tub / sink, and then pour some of the No Drought onto your hands, rub them together and then massage it to your scalp. Part your hair as usual and apply some dry shampoo directly on the parting. (Meanwhile, do not move or else the powder might fall.) Then take a Tangle Teezer and use it to rub it into your roots. This method also create volume in the roots while rubbing the product into your hair to absorb the grease. Side note – You can actually get some cornflour and use it as dry shampoo and there is no need for you to shell out $14.95 / £7.25 for a 115g bottle. It will just have no scent thats all. 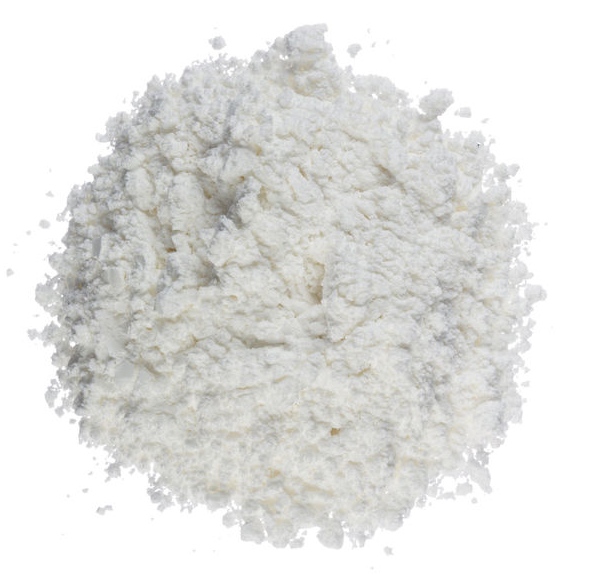 Or if you want some scent to it, you can mix cornflour with some scented baby powder.